A New Events Venue in Soho. The Big Green Bookshop (that's us) and The Old Café in Charing Cross Road are delighted to announce an exciting new partnership, which will hopefully mean that we'll be able to put on even more amazing events, not only in Wood Green, but also in Central London. 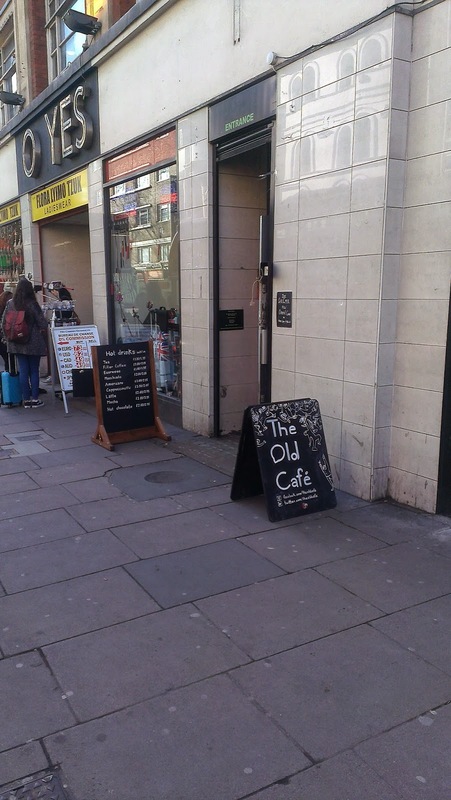 The Old Café is a superb event space located in the heart of Central London, at 113-119, Charing Cross Road in between Tottenham Court Rd and Leicester Square Underground stations. Look at it? Isn't it lovely. Book lovers may recognise the address, as it's where Foyles Bookshop was situated, before it relocated a few doors down the road last year. 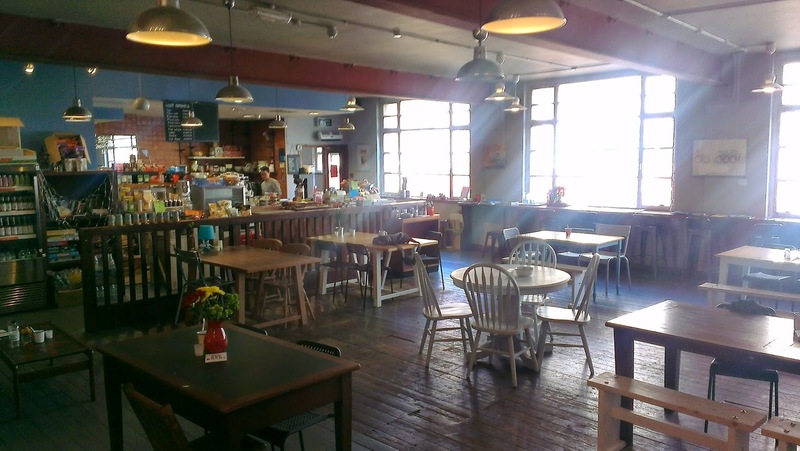 About a month ago the cafe reopened as an independent trader on the first floor of the old building. Time Out wrote about it here. O Yes. Here it is. Its wonderfully relaxed atmosphere and extremely friendly staff (not to mention the great prices and delicious food) make this a really great place to frequent. It's open from 8am, so if you're in London town, it's well worth a visit. Now obviously, its location lends itself to more literary events and so they've teamed up with us to help them become a new and exciting central London venue for such things. 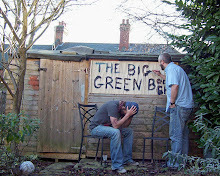 Over the next few weeks the first of these joint events will be announced, but we want it to buzz louder than a million bees, so if you’re interested in holding an event at the venue and want to have a chat, please get in touch with Simon at enquiries@biggreenbookshop.com .